I can’t remember a time when I didn’t draw even as a small child. 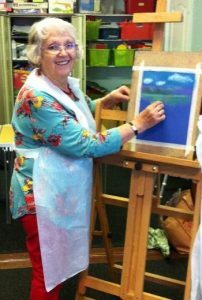 I passed ‘O’ level art but then did very little until the mid – seventies when I had the opportunity to attend Loughborough College of Art to do a Dress and Embroidery design course with a certificate in Adult Teaching which relied heavily on drawing and painting. I then taught mixed crafts at Basford Hall College. When all the part – time teaching contracts were axed I went to work for Social Services. During this period I made the costumes and painted backdrops for the QMC pantomimes for 10 years. 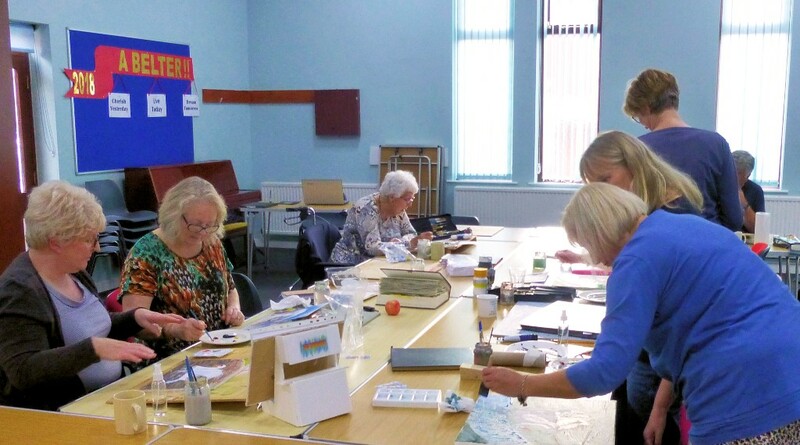 After retirement I decided to revisit pure art and enrolled at Patchings for water colour and pastel classes.